We all know that it’s important to get our carpets cleaned on a regular basis, but what about all the upholstered fabrics and furniture in our homes? 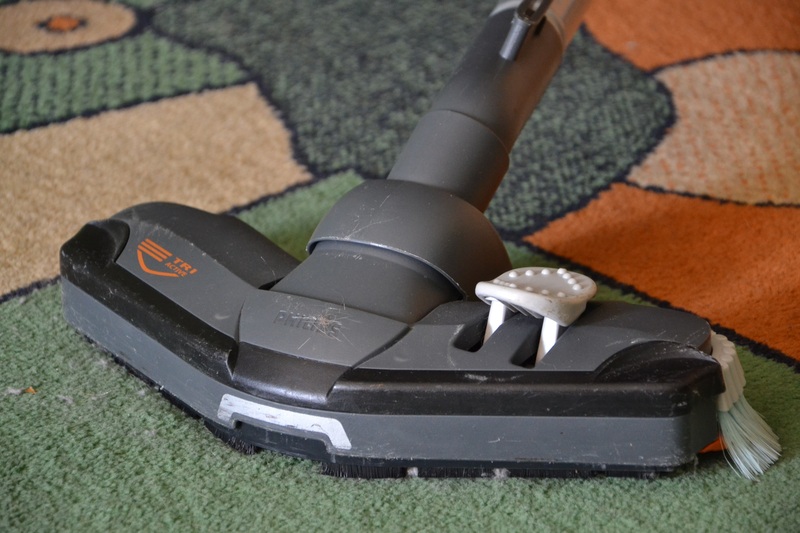 Because we’re walking on our carpets day in and day out, it’s natural to notice them growing progressively dingier as time wears on and make a conscious effort to get them professionally cleaned every few months. 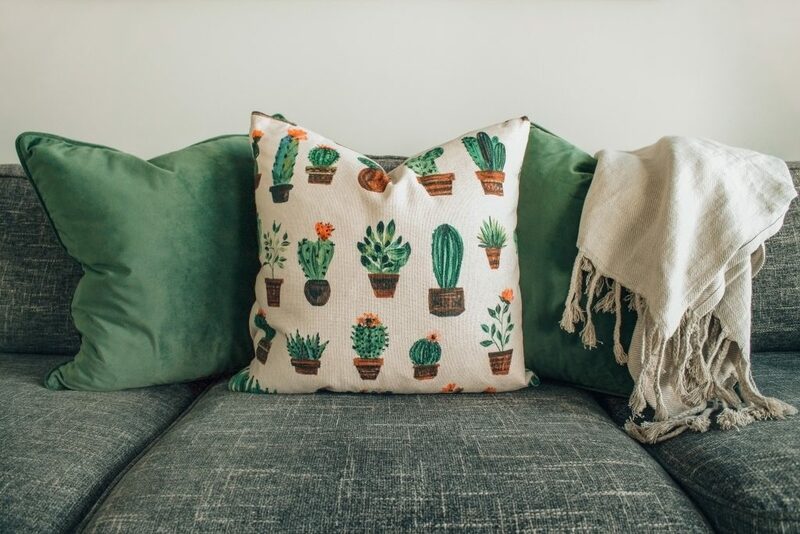 However, upholstery usually won’t show as much obvious wear and tear, and it’s all too easy to forget that it needs to be professionally cleaned as well. Here are four reasons that you should make sure to get your upholstery cleaned by a trained, experienced professional sooner rather than later. Getting your upholstery cleaned every few months will help it last years longer in great condition. Upholstery cleaning can prevent fading, set-in stains, and even fraying. The cost of upholstery cleaning pales in comparison to the cost of buying all new furniture to replace your old furniture. Investing in professional upholstery cleaning is about so much more than aesthetics. Many people don’t know that all the upholstered fabric and furniture in your home works together with your carpets, rugs, and other soft surfaces to filter contaminants out of your home’s air. As air circulates throughout your home, it carries things like dirt, dust, bacteria, and allergens that can be inhaled by you and your family and cause irritation and even illness. The fibers in your upholstery trap these contaminants and prevent them from moving throughout your home. However, if you neglect regular professional upholstery cleanings, the fibers of your upholstery will become full of dust and dirt and won’t be able to filter any additional contaminants out of your home’s air. Choosing upholstery cleaning professionals who are highly trained and experienced will not only keep your home looking great, but it will actually make your home a cleaner, healthier place for you and your family to live. Do you have a giant stain on your couch that you think you just have to live with? Think again! Upholstery cleaning can often remove even the most stubborn stains with their powerful professional equipment. 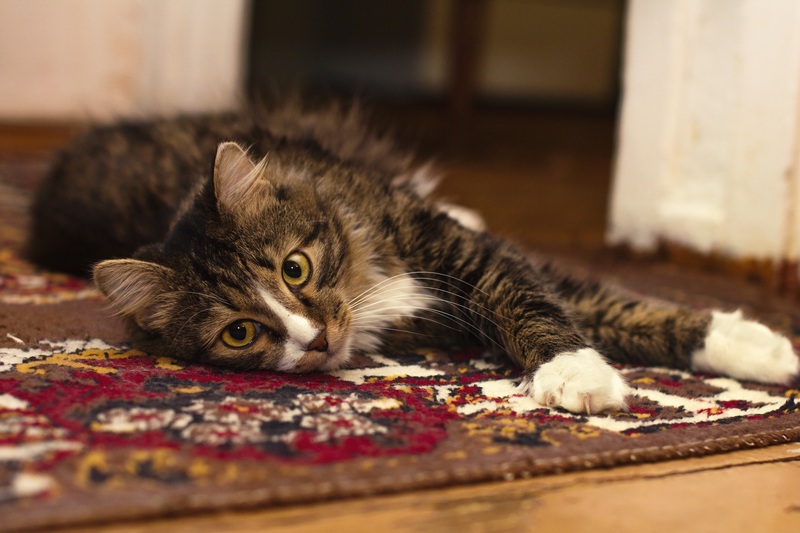 Even pet accident stains can be removed by a trained expert. Don’t panic about stains on your upholstery any longer. Simply call in a professional, and your furniture will be looking like new again in no time. Absolute Carpet Care offers expert upholstery cleaning in Fairfax that will have your upholstery looking bright and new in no time. Their stain removal proves works on almost any kind of stain, and they’ll let you know exactly what to expect from their services from the get-go. For upholstery cleaning in Fairfax that you can trust, turn to Absolute Carpet Care. You might not even realize how dingy and dull your upholstery has become over the years until you see how incredibly bright and clean it all looks after a professional cleaning. High-quality upholstery cleaning will remove layers of dirt and grime from the surface of your upholstery while also cleaning below the surface. You won’t believe what a difference a good upholstery cleaning can make on the look of your home. It’s coming to be the time of year when utilities costs generally begin to rise, as our home’s insulation is truly put to the test, and you get a chance to see how efficient your home’s heating system is. When the winter time comes around, and the temperatures begin to plummet, it’s vital that you take the necessary steps to save as much as possible on your monthly utilities, or else they could easily get out of hand. As your home begins to age, and the foundation starts to crack and deteriorate, putting into action a few small steps can be a huge difference maker between potentially hundreds of dollars per month. We’ve compiled some of our top tips for making your home more energy efficient before the winter cold starts jacking up your heating costs! If you have any additional tips for saving on home utilities, please reach out to us using our contact page, we’d love to hear your ideas! Our most important tips have to do with ensuring that your home’s electrical appliances are up to date and running correctly, because one of the biggest money wasters from any homeowner’s perspective is a heater that rarely turns off, or a cold draft blowing underneath your doors or through your thin window panes. Filling up any gaps, cracks, and thin-layers of glass or plastic can be a huge help in reducing the cost of your utilities and saving energy in the long run. If you are noticing that your home is constantly cold, or your heater is running most of the day, then you may want to look into some actions you can take to reduce that usage, such as applying an insulating plastic layer over the interior of your windows, utilizing a foam-based “gap filler” to plug any potential holes in your walls/doors, and purchasing gap sealers – sliding pieces that attach to the bottoms of your doors, removing the small cracks from underneath. All of these products are excellent at increasing your energy conservation and ensuring your home’s utilities stay low. If you are unsure of where to purchase insulating products, or don’t want to spend money and would rather look into more cost-efficient solutions, one great tip we used to use back in the day was to hang spare blankets and sheets over thin windows. These absorb a majority of the cold air that comes through, and always help to trap in warm air and continue circulating it throughout your home. If you haven’t be sure to check the air filters in your home’s HVAC system, and ensure that all of the major appliances are running correctly. In some cases, if you notice an abnormal spike in your utilities or energy usage, you may want to purchase a Kill-A-Watt system, which plugs into an outlet and allows you to see exactly how much energy an appliance is using. This is great to see if that room heater you are using is wasting more energy than it’s saving. Once you’ve figured out the weak points in your home’s energy efficiency, it’s important that you take the proper steps to correct them. Spending $50-100 before the winter season begins could pay off in utility costs throughout the season, and the changes you implement will last for seasons to come as well. If you decide to opt for more expensive, but permanent solutions for your energy costs, then they will definitely pay off eventually. This is generally better if you plan on staying in your current home for years to come. If you are renting a home, you may want to pursue some of the more affordable, yet not as permanent solutions. 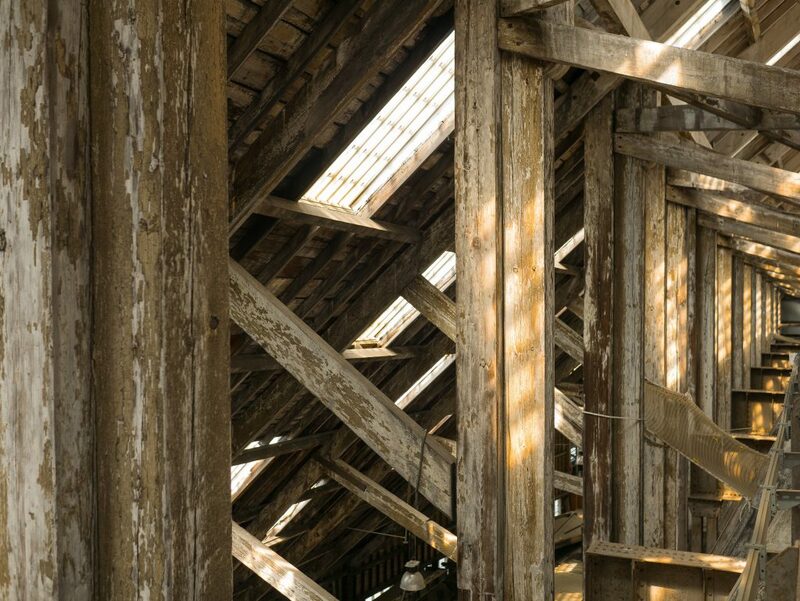 Pursuing potential attic/crawl space insulation upgrades could be beneficial as well, if your system is older or outdated. While many modern homes are now constructed with windows that block the majority of harmful UV (Ultra-Violet) rays from the sun, there are times when you may want to purchase additional window films to help block out the full spectrum of UV-Rays that your existing windows may let through. Often times, windows will block the majority of less-harmful UV-B rays, but will allow a small amount of UV-A rays through. These are one of the most popular designs, because they not only help block UV-rays, but drastically reduce the heat coming into your home, letting your air conditioning run less and saving you money in the long run. In addition, during the winter season, the same film will work to insulate your warm air inside your home, allowing you to save on your heating bill. Insulating window films are also used to help reduce the amount and severity of fading on carpets, furniture, fabrics, and other household objects. These are the go-to window films in terms of overall quality and value. 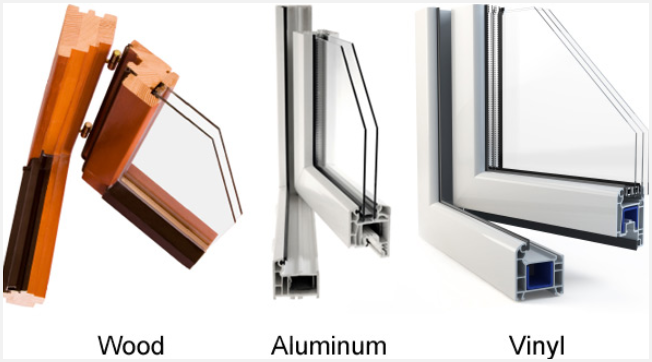 They are very energy-efficient and can be the perfect compliment to your existing windows. Another popular category of window screens are those that help to reduce the bright glare on your TV or computer screen. These are becoming more common since electronics have become ingrained in every home. 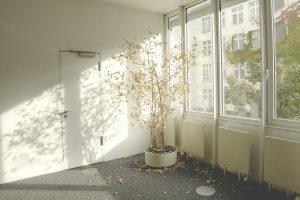 Many times, you have to choose between having beautiful natural light coming into your home, or having a massive glare on your computer screen, which is a lose-lose situation. With glare-reducing window films, however, you will be able to take full advantage of both to truly be comfortable in your home’s office space! In many states out west, with looming landscapes and unblocked sun-rays, these are gaining traction through window installation companies such as High Country Window Tint. As the age of privacy becomes to grow more into the spotlight, these window films help your physical while still allowing natural light to permeate your home’s interior. In many cases, these window films are translucent, frosted films that are applied directly to the glass of your windows. They offer not only day time privacy, but let natural light filter through your windows as well. For a great mix of both privacy and UV-protection, these can be the best choice. Often, home owners will utilize these types of window films near the front door, so you can see if there is someone on the porch without them being able to see into the house. These are all different factors and terms that are thrown around the different window films, so be sure to thoroughly conduct your research before deciding on a product to install. Above all else, make sure you are happy with the design of the window film – if you install it throughout your home and don’t like the look, it can be a major headache to take care of! Replacement windows can be found in a wide variety of styles, but all the options can sometimes make it tricky for consumers to pick out the right style for their home home. Double hung or casement replacement windows are the most popular for use in residential dwellings, but sliding windows and bay or bow models are nice options as well. The casement window was invented over a century ago and has remained popular ever since. Such models swing out from the side like a door. Double hung windows are another traditional favorite and this model has been around for several centuries. Fixed windows, also referred to as picture windows, feature a solid design and do not provide ventilation, but they do give an unobstructed view of the home’s surroundings. Sliding models, as their name implies, are not stationary, but rather slide back and forth in a similar motion to that of a movable patio door. When replacing windows in an old, Victorian house, it is essential to maintain the home’s original architectural integrity. Double hung windows work well in such homes, but Victorian windows are typically larger than the size considered standard by most homeowners. Although it may be tempting to renovate the openings and install smaller windows, this often results in ruining or compromising the look of a traditional Victorian house. 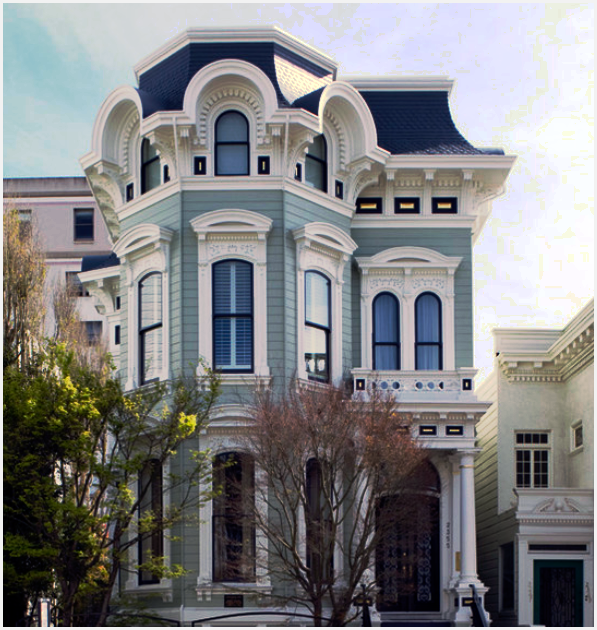 As a second choice, casement windows also work well in a Victorian home. Models of this type swing out similar to that of a door. They are typically operated with a crank and were sometimes seen in original Victorian style dwellings, although they were never as popular as the classic double hung model. Well-positioned bay windows can be used to enhance the home’s original architecture, and most larger Victorian houses had at least one bay window on each floor with a window seat for reading or relaxing. Colonial homes feature various styles depending on the early settlers by whom they were built. Most feature Spanish, French or Dutch influences and traditional Georgian or New England architecture. Similar to other classic style dwellings, colonial homes are usually fitted with multi-paned window units and in most cases, feature shutters. Consumers should keep in mind that ventilation is important in colonial style dwellings, as little or no space is typically left open in the floor plan of this style home. 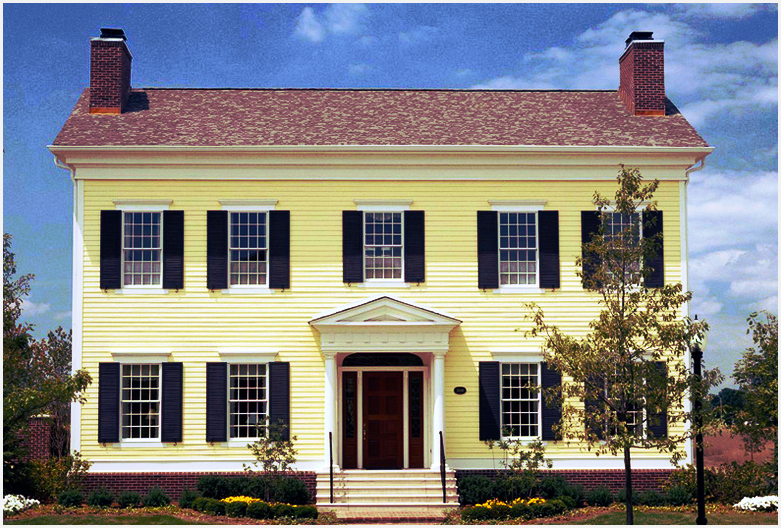 For this reason, double hung windows or sliding windows are usually recommended for colonial houses. Such models not only pair well with shutters, but also provide maximum ventilation. The majority of double hung models can be opened from the top or bottom sash, making them highly convenient as well. In addition, grids can be used to accent geometrical proportion and emphasize symmetry. Cape Cod homes originated in 17th century New England, and typically feature one-and-a-half stories and a roof with a steep pitch. Because of their classic style, sliding windows or double hung models are almost always recommended. Grids are typically added to match the multi-pane look and patios often feature French style sliding doors or French swinging doors. A bay window or bow window can also be added for accent, although these were rarely seen originally in Cape Cod style homes. 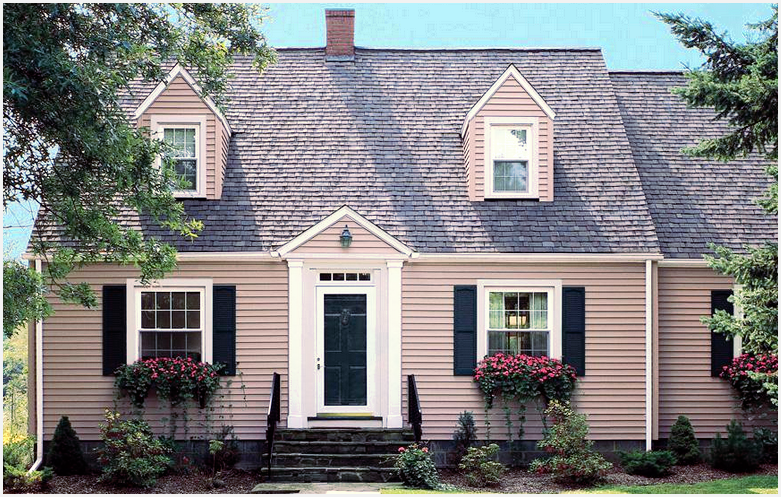 Shutters are almost always used with traditional Cape Cod dwellings, as well. 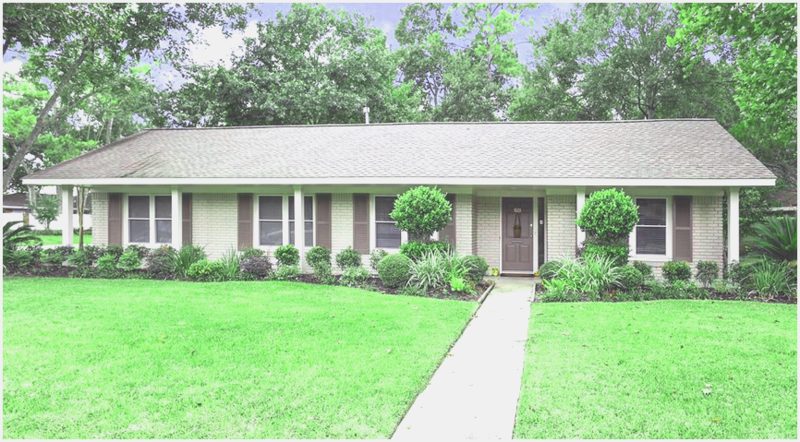 Classic ranch homes are generally one story, low ceiling homes that emphasize horizontal patterns. Because no window has cleaner lines than the stationary, picture window, these were the mid-century favorite for virtually all ranch houses. However, casement replacement windows are also a terrific choice for a ranch or ramble style dwelling, as they can be treated to match essentially any architectural style. Awnings are almost always seen on ranch homes, and horizontal grilles are a favored treatment among consumers who wish to enhance the overall look of a ranch-style dwelling. Homeowners whose dwellings feature traditional styles have the option of selecting essentially any window model they find appealing. There are numerous styles from which to choose, but most fall into one of two categories: fixed or operable. Fixed units include the aforementioned picture windows, and of course, bay or bow models. Operable units include casement, double hung and sliding windows. Casement or double hung units are highly versatile with regard to ventilation, while picture windows offer the best view. The model selected is primarily a matter of personal preference, although other factors also influence the homeowner’s decision. For example, if small children reside in the dwelling, casements are a good choice, as they allow fresh air to flow into the house, but can be locked in place at a width too narrow for a child to climb through. Similarly, a double hung window that tilts in for easy cleaning and maintenance may be chosen by a homeowner whose primary goal is convenience. Fortunately, local retailers are familiar with the many types of homes in Philadelphia, and therefore most carry a broad range of models. After a window style is selected, Philadelphia PA homeowners must then choose the kind of material they prefer, as well as the desired number of panes. Doubles panes are considered the best choice, as single panes offer little or no protection from extreme temperatures or damage. Triple panes are not usually needed unless fuel bills are problematic. Fiberglass, wood, vinyl and aluminum are the four main window frame options available on today’s market. Wood is aesthetically appealing, while vinyl is more cost-effective than the other options. Fiberglass is somewhere in between wood and vinyl with regard to cost, but offers exceptional longevity. Vinyl-clad aluminum frames are also very popular. Aluminum frames are rarely a good option for residential dwellings, as aluminum is a poor insulator, unlike wood or vinyl. It is always a good idea to comparison shop before purchasing replacement windows. Units that are perfect for one type of house may be all wrong for another. Therefore, taking an adequate amount of time and reviewing as many options as possible before making a purchase is in the best interest of all consumers. Regardless of which style a homeowner ultimately selects, the replacement windows Philadelphia PA residents invest in will add value and beauty to their homes for many future years. With spring cleaning on some people’s minds, and Earth Day around the corner, getting rid of toxins and artificial fragrances are a great way to clean house. Noone wants lingering effects of any kinds of toxic items or rubbery, chemical smells lingering around the house. Fifteen years ago, an American advocacy group called Women’s Voices for the Earth (WVE) was founded to eliminate a variety of toxins in cosmetics and household products. WVE is still around today, advocating for families to watch out for seemingly healthy cleaners that have been linked to reproductive and respiratory illnesses. With the low-quality of many products these days, chemicals and toxic ingredients are a lot more common than you may think. A good way to clean your home of dirt and unsafe chemicals at the same time is by making your own household cleaners from items you find in your own kitchen. Now, how to make it both fun – and economical? WVE recommends hosting a cleaning party. Why Host a Green Cleaning Party? However, a 32oz of a home-made cleaner can cost 38 cents or less, if the ingredients are bought in bulk. Alone, the cost of olive oil, castile soap, Borax and baking soda might be intimidating to some budgets, forcing people with lower incomes to more affordable, but potentially toxic choices. Pooling resources like money and empty containers among friends, and packaging them together can make this process fun. Make invitations for an Earth Day friendly event, as an excuse to get together and really make a difference in the level of parabens and bleaches that are currently in most commercial cleansers. There are many non-toxic, healthy, organic, completely green and eco-friendly cleaning items you can make yourself, ranging from soaps, to cleaners, to laundry detergent, to everything in between! In your Earth Day party, reassure guests that cleaning ingredients will not be mixed while drinking cocktails, but fun “detergent themed” or “green” drinks will be available once all the cleansers have been made and put away. 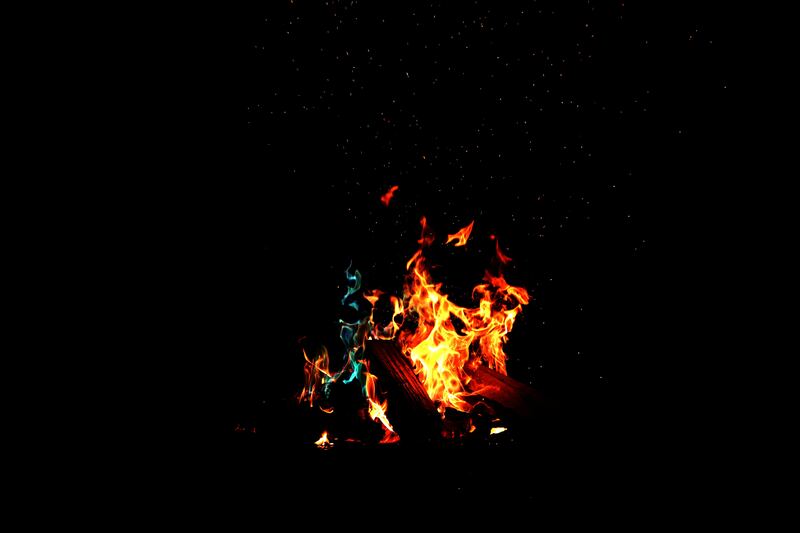 To really lower the event’s carbon footprint, send out invitations by email or electronic greeting cards. Take a poll among your friends of who would like to make what kind of household cleaner, and agree to make the kinds that everyone agrees on. Not everyone may want furniture polish or drain-openers. Having everyone bring bottles and jars will also ensure that everyone gets to take home enviro-friendly products – safely. If you’d like, you can even swing by a dollar store in your area to find mason jars, glass bottles, and other easy to use containers. Ensure that there is easy access to a sink and plenty of elbow room at a table and/or counter. Have labels pre-printed out or scribbled on masking tape for ready identification once poured into a bottle or jar. Print the item’s “recipe” and tape it to the container. This will help identifying the ingredients if a toddler should accidentally consume it – a call to the local poison control centre would help identify ingredients more easily than from a commercial cleaner. If your kitchen space is limited, have guests make their batches in rounds. Half the room can enjoy cocktails while the other half mix their cleansers, then switch. Email your friends the link that compares the prices of commercial cleaners with homemade ones: It includes “cleanser recipes” that they can make on their own, later. Fill a shaker with lemonade, vodka and blue Curaçao. Strain into a martini glass or large tumbler. If your guests feel like they’d like to do more than drink cocktails and nibble on round, earth-shaped finger sandwiches, try encouraging them to sign a petition to get your government to persuade cleaning product companies to disclose their ingredients. Our health is tied in to our planet’s health. Keeping your home properly efficient energy-wise can be the difference between a thousand dollar utility bill or a few hundred. There’s a ton of different strategies, procedures, and various methods that many companies and home renovation companies will incorporate to ensure that a newly-built or freshly-renovated home is energy efficient. In today’s world, the need to not only conserve energy, but reduce our use of it in general, is extremely important. Think of your home as a machine, a system of some sort. You have to reduce, downsize, and properly plan out your home’s inner workings in order to see proper energy-efficient results. Keeping your home energy-efficient not only saves you money in your annual budget, but also helps save you time and potential hassle in the future that can result from not taking these steps initially. You also can improve the performance of your home’s natural systems such as its HVAC system by being energy-efficient and taking various budget-saving and frugal measures that help to not only reduce the load of the energy going through your home, but also helps them chug along faster, sleeker, and better. One of the first steps that the majority of contractors and home renovation experts will do to properly ensure your home is energy-efficient is to do an overall, very thorough, in-depth check of your home’s insulation in general. There are many things that encapsulate your home, and it’s important to go over each and every one to ensure the energy-saving properties of each, and whether or not it will be a problem in the future. The major items that most professionals will examine include your walls, attic, basement/crawl space, windows, and doors. This involves a proper inspection of the seals, gaps, cracks, and anything that may potentially be limiting your energy-efficiency, such as thin glass windows or plexi-glass windows that allow cold air to come through your home. There are also many other ways that home renovation professionals will consider to help improve your home’s performance and reduce your carbon footprint: clean energy sources! Utilizing solar power, geothermal energy, or hydroelectric power can not only cost you less, but helps contribute to reducing the effects of global warming and removing fossil fuels from your home! So for a proper energy-efficient home design, we will walk through each area and item of your home, and describe what we believe should be inspected and thoroughly looked over, starting with your windows. In general, if you already have windows installed in your home, and aren’t planning on going through an entire renovation or window replacement process already, it is, in the majority of cases, more budget-friendly and way more affordable to go with other ways such as weather stripping. However, if you do go through with energy-efficient windows with great ratings, you will definitely see the results pay off in your utility bills through the years to come. Ensuring that your walls, attics, and other areas within your home such as the basement and/or crawl space are properly insulated is more than likely the next step to properly ensuring your home is energy efficient and cost-effective. Basically, having proper insulation within your walls, attics, basements, and crawl spaces will help to do two things: reduce the flow of heat that is coming out of your house in the winter season, and helps to keep out heat that may be coming into your home during the summer season. Having energy-efficient insulation can greatly improve your comfort and save your home a lot of energy over time. If you have an unfinished attic/basement/crawlspace or other room in your home, it’s important to get it properly insulated. Whether you want to use blown-in insulation in your walls and attics, or some other type of insulation that is more costly but higher-quality, it pays off in the long run. What’s more important than the materials and products you decide to use is the installers that you choose to go with. A certified, professional window installer can be the difference between a horrible job with an expensive, high-quality window that still lets in air, or an excellent job with a budget window that is perfectly sealed and allows no air-flow. More often than not, home renovation companies utilize infrared technology while insulating to check for any gaps in the walls. This is my last tip, but also just as important. This is a very minor, often overlooked thing that the majority of homeowners can incorporate TODAY. Replacing your old, outdated incandescent lightbulbs with CFLs (compact fluorescent lamps), can truly pay off over the years. While it may cost you some out of pocket money initially to purchase the lightbulbs, they will pay for themselves as the time goes by. It is also important to change out your most used light bulbs first, as they will be the ones sucking up the most energy. In conclusion, it’s important to take steps, whether during a new home construction or an upgrade to an existing one, to take into account your energy-efficiency and cost-effective measures that are available to you. Whether you decide to have an official energy inspector come out and help you plan and strategize, or just research online and do it all yourself, get out there and get it done!